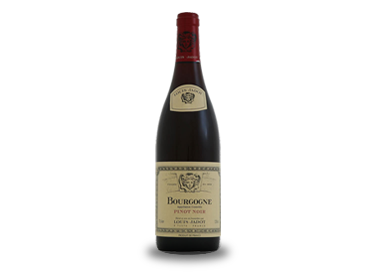 Jadot Bourgogne Pinot Noir is vinified in vats and then aged partly in oak barrels and partly in vats during 9 to 16 months before bottling. It is harmonious and balanced, with a plump fruitiness and silky texture offset by round, gentle tannins in a wine of medium body and elegant structure. The very typical, fragrant varietal bouquet is complemented by a deliciously lingering finish.